The Academy of Canadian Cinema and Television announced their selections for the 2015 Canadian Screen Awards this morning and among the talented nominees is stand-up comedian Steve Patterson for hosting HGTV Canada’s 1-Hour Special of I Wrecked My House, which is out to prove that duct tape doesn’t fix everything. 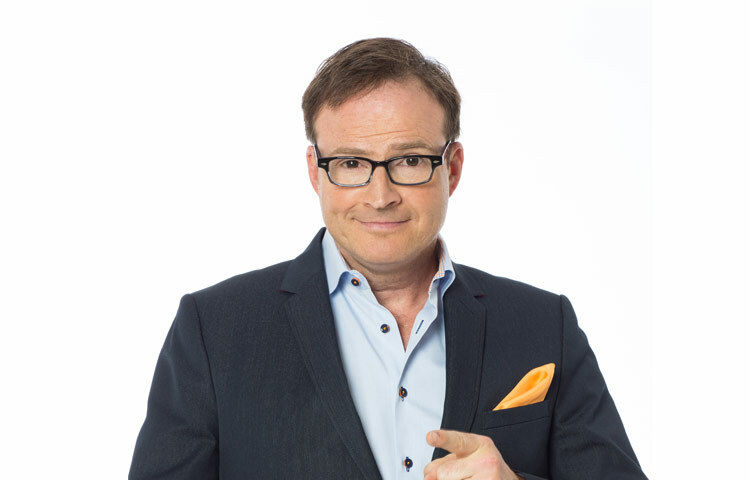 Steve Patterson is nominated for Best Host in a Variety, Lifestyle, Reality/Competition, or Talk Program or Series alongside Don’t Drive Here (Discovery Channel Canada), InnerSpace (Space), Rebel Without a Kitchen (Travel & Escape) and Survivorman (Travel & Escape / Science Channel). Produced by Mountain Road Productions in association with Shaw Media, the special is a comedic look at homeownership and is full of DIY errors and good-old Canadian made ingenuity with Steve Patterson traveling from coast to coast in search of Canada’s worst homeowners. We are not talking about a few bent nails or a bad paint job – we’re talking duct tape in place of caulking around the bathtub, giant tarps in place of roof shingles and pliers in place of bathtub taps. In the end, one of the hapless homeowners in North Bay received a major renovation project worth $50,000 – but only by agreeing to hand over their tools with a promise to never attempt a home repair again. I Wrecked My House can be viewed on HGTV.ca and since its broadcast last April has been picked up for 14 new half-hour episodes which are currently in production and slated to begin airing spring 2015. Steve is also scheduled to begin his next tour “I Laugh Therefore I Think” in the spring. Winners of the Canadian Screen Awards, now in its third year, will be announced the last week of February and at a televised gala hosted by Andrea Martin on March 1. Since 1997, Mountain Road Productions has become synonymous with originality and excellence in the television production industry. The company has produced multiple critically-acclaimed and award-winning series, specializing in factual, home renovation, comedy and lifestyle programming. For more about Mountain Road visit www.MountainRoad.ca.